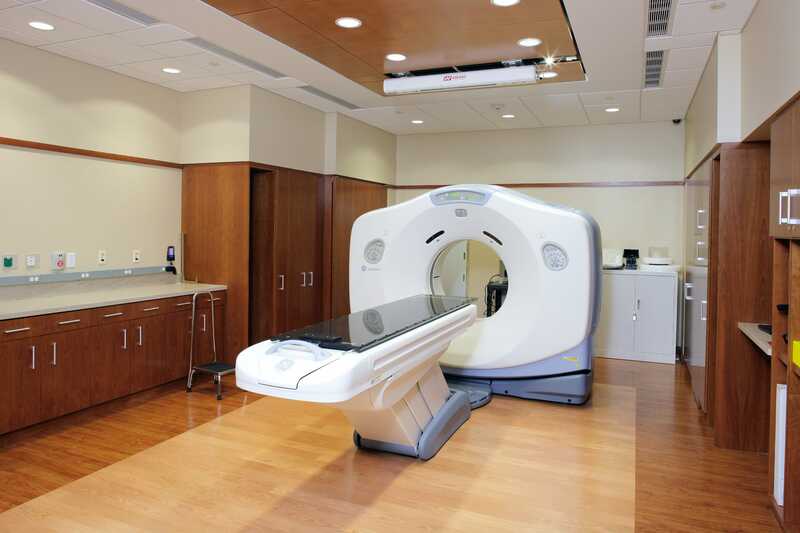 The new Dana Faber/Brigham and Women’s Cancer Center located at South Shore Hospital offers a peaceful suburban setting with all the required state-of-the-art equipment and technology needed for patient care. Located just outside the city of Boston, this location offers patients the welcomed option of seeking all their medical needs at a facility in at a peaceful suburban neighborhood setting. This hospital construction consisted of a six-story cancer center and a seven level, 560-vehicle parking garage with a bridge connector. Gilbane provided healthcare construction management services on building this new cancer center that included medical oncology offices, diagnostic imaging, linear accelerators, a laboratory, a pharmacy, chemotherapy infusion areas, a breast health program, a family resource center, a boutique and healing gardens. The project’s tight site was challenging. 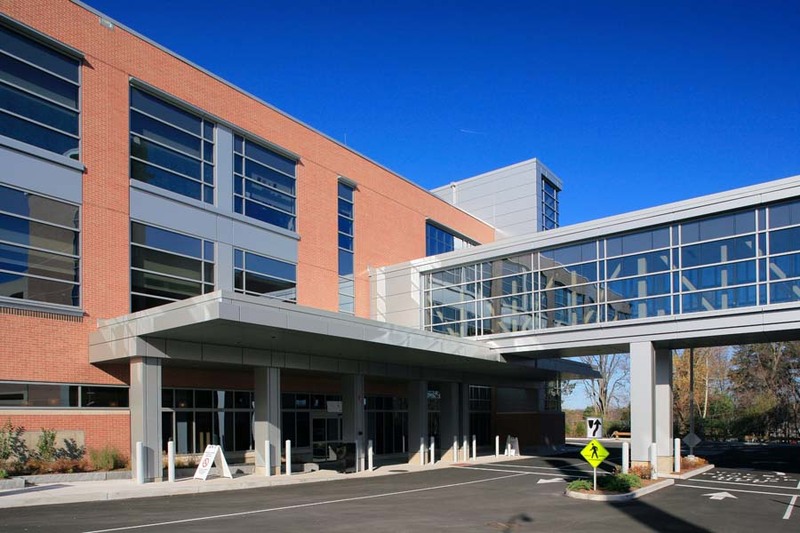 Both the garage and cancer center were constructed bordering the South Shore Hospital’s existing facility located adjacent to the hospital boiler plant and laboratory requiring the ongoing monitoring of dust and vibration control. 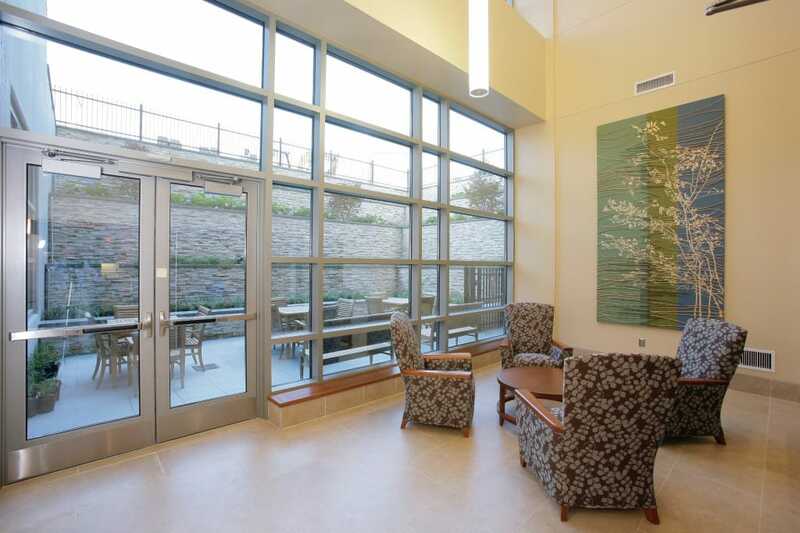 Due to quiet suburban location, Gilbane worked closely with the hospital to minimize impact and disruption to the bordering residential neighborhood. Working closely with town and police officials, Gilbane coordinated the delivery of all equipment to the site shutting down a main roadway and setting up a crane adjacent to the site. The installation of equipment was a phased process and completed within one day as a result of careful planning and coordination to keep impacts to local traffic minimal. 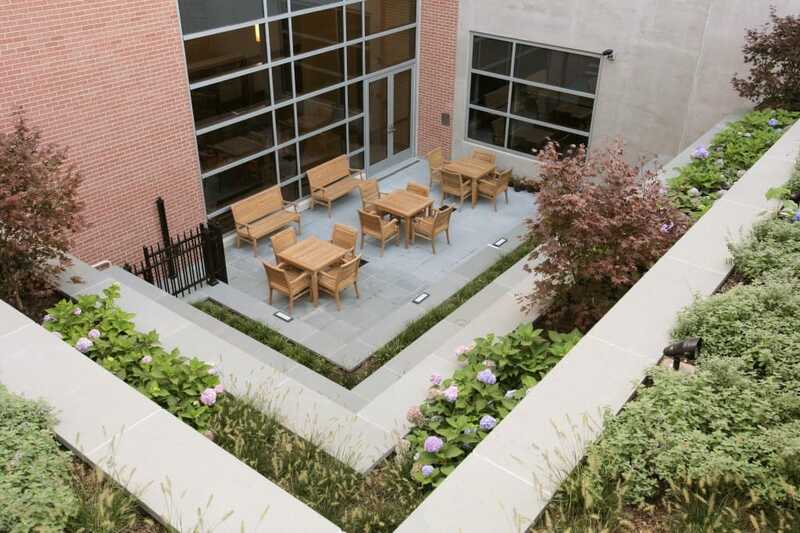 Gilbane conducted a life cycle analysis of the building systems at South Shore Hospital during the preconstruction phase and provided initial capital costs to the architect who used the data to complete an analysis relative to operating costs that resulted in $1.3 million in savings.